For centuries, mahogany has been an elegant and expressive wood for fine period furniture. 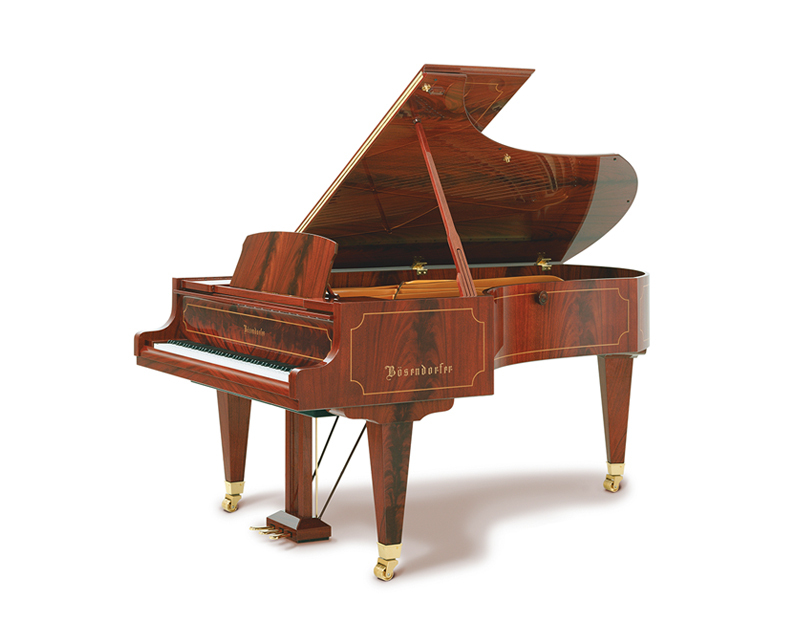 The superb workmanship of this noble wood by Bösendorfer turns every instrument into an individual masterpiece. 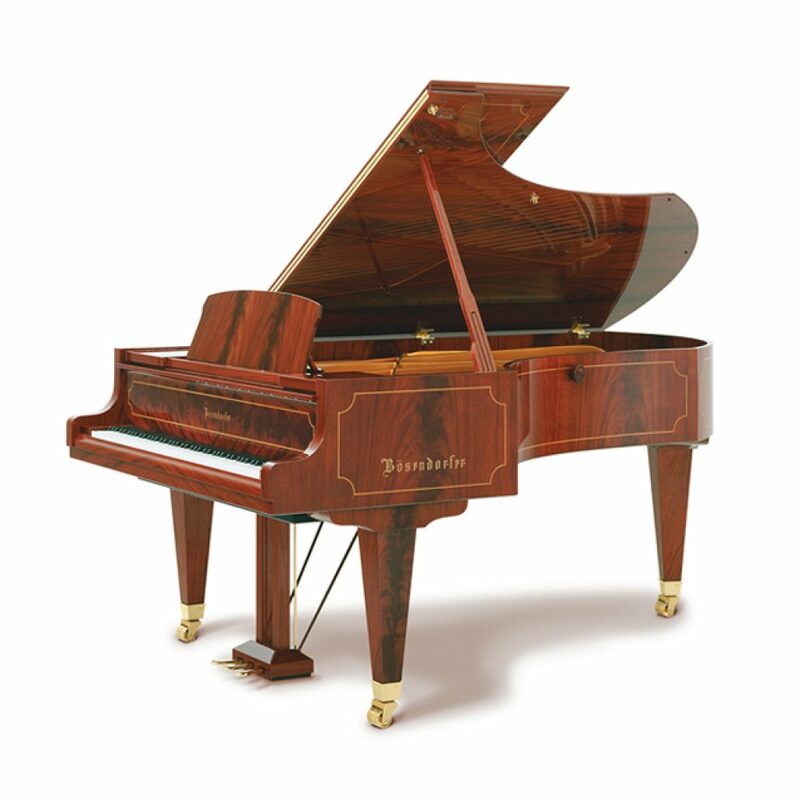 The Bösendorfer Senator model is as individual as you are. The exceptionally majestic casework of the Bösendorfer Senator model is created by using a combination of two different woods. The external wall, the lid and the fallboard are in polished pyramid mahogany with pear-wood inlays. Our pyramid mahogany is sourced from controlled forest concession areas in West Africa where mature mahogany trunks are felled in keeping with forestry practices. Rough pyramids are created from suitable forks in the wood at the sawmill. Veneers made from this wood are particularly beautiful because of the unique smooth cut and the striking, decorative pyramid design which reflects the light. Over time, the initial light red to reddish-brown colouring darkens to the characteristic warm mahogany tone with its golden shimmer.